Description DWF is an open-source extension, by aid of which users share data, which is contained in CAD projects. 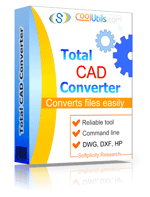 AutoCAD features DWF6 eplot, in which these files are generated. This format uses a type of compression, which enables you to easily share hitherto bulky graphic data. However, it is impossible to operate DWF files in the same way as projects themselves, because their content cannot be changed. AutoCAD 2004 incorporates its own DWF viewer. Also, there are utilities allowing users to open DWFs without installing the package. Autodesk has come up with a free utility supporting this extension, and it is commonly used for viewing and marking DWF files.